- Please keep the door closed!!! Thank you!!! 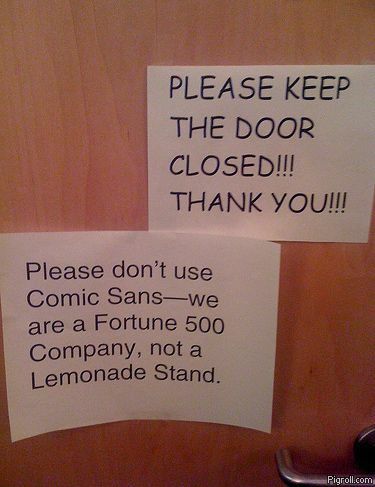 - Please don't use Comic Sans - we are a Fortune 500 Company, not a Lemonade Stand. Seen it on work.failblog.org and dozen of other sites. The truth is nobody knows where those things originally come from. They call is steganography, geniuses. wiki it.